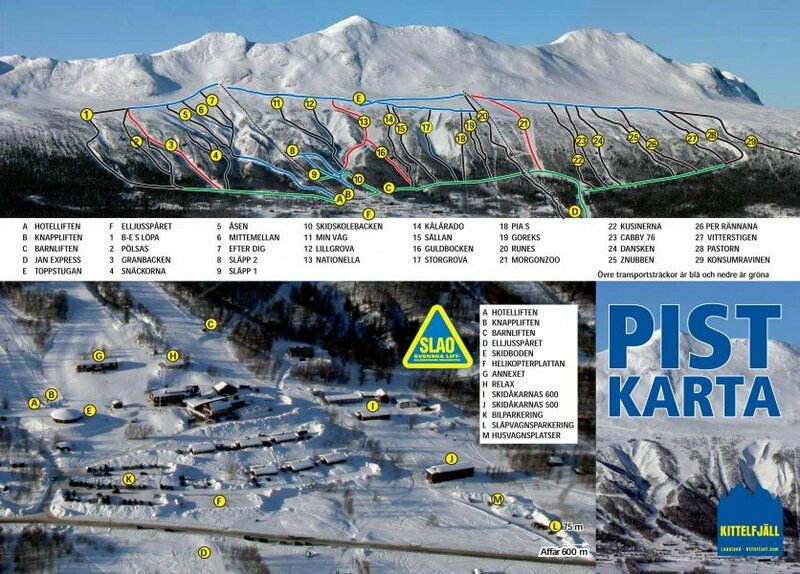 Elevated between 1804 ft and 3100 ft, the Ski Resort is among the 15 highest elevated Ski Resorts in Sweden. The vertical drop from summit to base is 1296 ft. The average difference in altitude between base and summit of Ski Resorts in Sweden is 1099 ft.